Egypt says it working for an alternative as Deltares, a Dutch firm tasked to study the impact assessment of the Grand Ethiopian Renaissance Dam (GERD), withdrew from the research. The firm, which is one of two firms selected by the Tripartite National Committee (TNC) of Ethiopia, Egypt and Sudan for the impact assessment, cites lack of guarantee for the study as a reason for its withdrawal. The consultation firm said it has been in a three-month long negotiation with BRLi, a French consultancy group, on a possible cooperation for the studies. It said it "had to conclude that the conditions as imposed by the TNC and BRLi on how the study should be carried out did not provide sufficient guarantee for Deltares that an independent high-quality study could be carried out". The firms were expected to deliver the proposal to the TNC a month ago, but the disagreements hampered the timely submission of the plan. The future of the dam negotiations is unclear following Deltares's withdrawal. Egypt's State-run news agency, MENA on Wednesday said Cairo is considering alternative channels to revive talks on the Ethiopian Renaissance Dam, after the withdrawal of the Dutch consultancy firm. MENA said Egyptian caretaker Irrigation minister Hossam Moghazi had started a series of consultations with Egyptian members of the Tripartite National Committee and his senior aides to discuss the Egyptian position following Deltares' withdrawal. 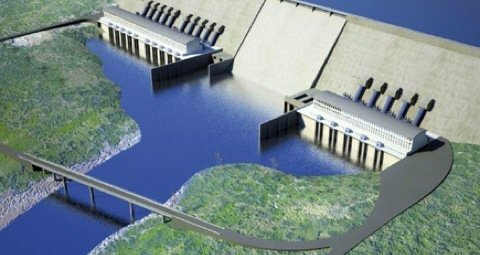 GERD, the largest dam in Ethiopia is being built on the Nile River with an installed generation capacity of 6,000MW of electricity.